Featuring a picturesque lake surrounded by homes on expansive lots with mature trees, Sandalwood is a Memorial subdivision just 15 minutes away from the Galleria. EXCLUSIVITY: With a median home price of nearly $3M and only 170 homes, Sandalwood features privacy and exclusivity comparable to Houston’s Most Expensive Neighborhoods. 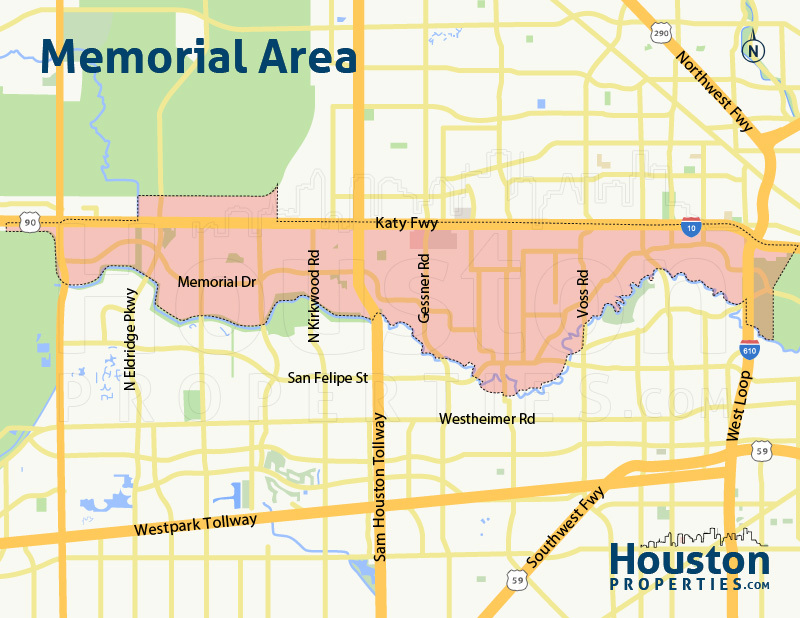 MEMORIAL LOCATION: Sandalwood enjoys a central location in the popular Memorial area. 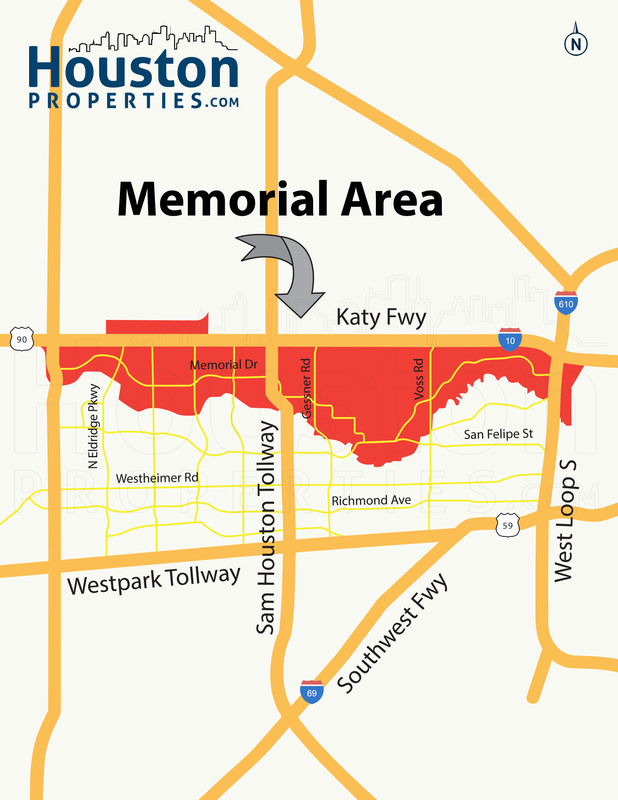 It offers residents easy access to the Katy Freeway (I-10) and Sam Houston Parkway (Beltway 8). Main roads such as Gessner Road and Memorial Drive pass through the community. SUBURBAN VIBE JUST MINUTES FROM THE LOOP: Similar to many of the vintage subdivisions within Memorial, Sandalwood is a scenic neighborhood with small-town vibe. Sandalwood features a Spring-fed lake, mature trees, canoes, a floating pier, and other perks common only to the countyside. 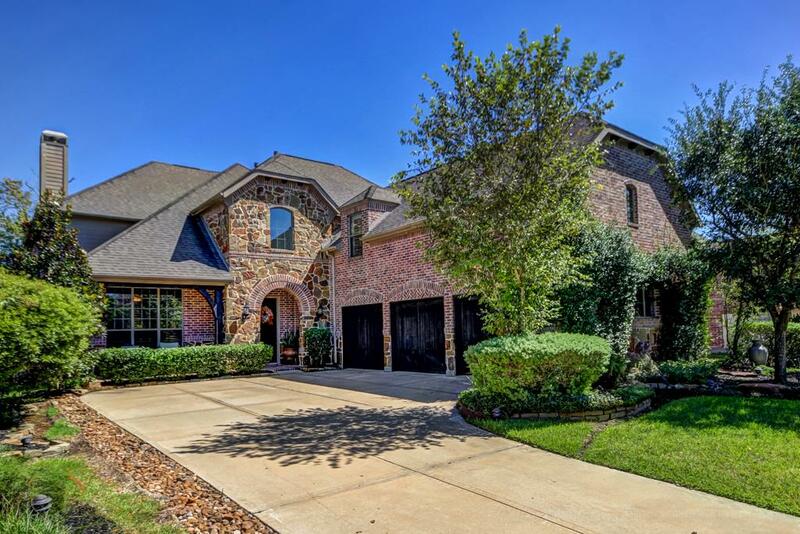 TOP RANKED SCHOOLS: The lakeside community is zoned to some of the best schools in Houston and in the country including the National Blue Ribbon School of Frostwood Elementary. There are also several private schools within the area. EXPANSIVE LOTS: Unlike other luxury neighborhoods in the Inner Loop, Sandalwood boasts of large expansive lots with mature trees. Typical lot sizes in the area go up to more than 14,000 square feet. LAKESIDE AMENITIES: Sandalwood features 3 spring-fed lakes with a floating pier, paddle boats, canoes, and on duty lifeguard. Residents may enjoy swimming, fishing, boating, or walking along the winding hike-and-bike trails within the community. STRONG COMMUNITY: Sandalwood has a Civic Club that enforces deed restrictions and sponsors several events for the community including neighborhood get-togethers and celebrations. The neighborhood also has a popular swim team, the Sandalwood Snakes, which residents actively support. HOME CHOICES: Established in the early 1950s, Sandalwood features both updated vintage homes as well as newly constructed estates. Properties in the area range from ranch-style and traditional to French, and custom-built contemporary homes. Navigating Sandalwood real estate can be tricky with its deed restrictions, competitive market and non-MLS transactions, quality of home renovation and diversity of builders (some are far superior to others). Contact Paige Martin, one of the top ranked Realtors in the United States and a very active real estate agent in the Memorial area for information on buying or selling Sandalwood real estate. Enter your email to get this free Sandalwood guide in easy-to-read format. Bonus: Also see how this area compares with nearby top neighborhoods. I am interested in Sandalwood and would like to get more details. Sandalwood sets itself apart as one of the few neighborhoods in the affluent Memorial area with lakeside amenities. Sandalwood real estate has steadily risen over the years thanks to its location, high accessibility, and super schools. Main roads and freeways are easily accessible from the neighborhood including Interstate 10, Beltway 8, Memorial Drive, and Westpark Tollway. Residents are minutes away from key areas like the Galleria, Energy Corridor, and Downtown Houston. Several upscale shops and restaurants are also within the vicinity such as the Memorial City Mall and Town & Country Village. Some of Houston’s Best Golf Courses and country clubs are also located nearby including Memorial Park Golf Course and Houston Country Club. Sandalwood is zoned to the Spring Branch ISD and is serviced by some of the top Houston schools including the National Blue Ribbon School of Frostwood Elementary. The neighborhood has 3 spring-fed lakes with a floating pier, paddle boats, canoes, and on duty lifeguard. Residents may enjoy swimming, fishing, boating, or walking along the winding hike-and-bike trails within the community. The Sandalwood Civic Club strictly enforces deed restrictions and sponsors several events for the community including neighborhood get-togethers and celebrations. The neighborhood also employs its own security patrol. Sandalwood boasts of large expansive lots with mature trees. Typical lot sizes in the area go up to more than 14,000 square feet. Homes in the area features a mix of updated vintage homes and newly constructed custom-built homes and estates. Homes are mostly done in ranch, traditional, and French architectural styles. An average home in the area can feature 4 to 5 bedroom floor plan with larger properties having more than 6 bedrooms. Prices for Sandalwood homes can start at around $1.3 million and can go up to more than $2 million. Sandalwood is nestled in a quiet area between Gessner Road, Briar Forest Drive, and Memorial Drive, south of the exclusive Memorial Village neighborhood of Piney Point. Sandalwood homes circles around Long Leaf Lane, Patti Lynn Lane, Knipp Road, and Sandalwood drive. It has 3 spring-fed lakes at the center of the community. 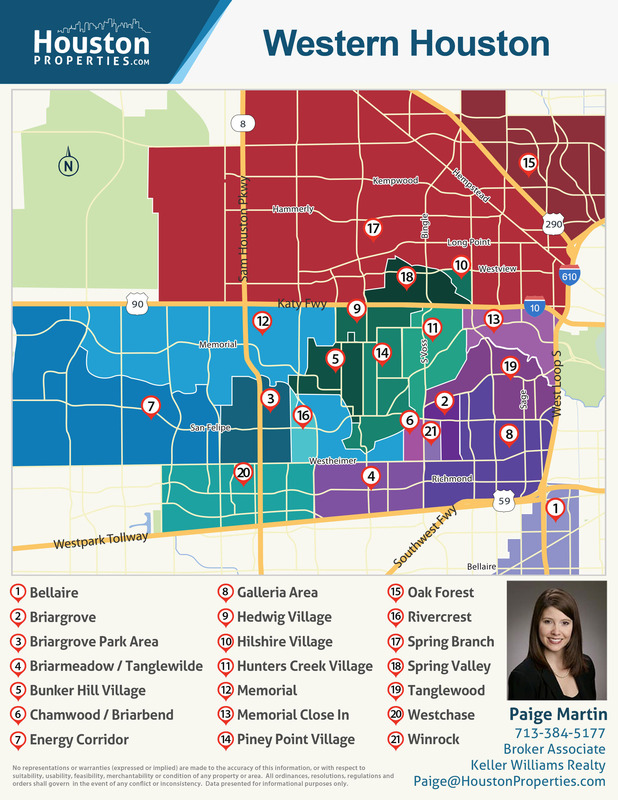 Sandalwood homes have great access to important Houston areas like Downtown, the Galleria, and Energy Corridor. The Inner Loop neighborhoods are also located nearby. Sandalwood is within the 77024 zip code of Harris County. Sandalwood is zoned to the acclaimed Spring Branch Independent School District (SBISD). Students in the area may attend Frostwood Elementary School, Memorial Middle School, and Memorial High School. Frostwood Elementary has been a National Blue Ribbon School for many years. Both Frostwood Elementary and Memorial Middle School have a GreatSchools.org rating of 10/10. Memorial High School has been named as one of the most posh public schools in the country. It has a GreatSchools.org rating of 8/10. There are also several notable private schools located near Sandalwood such as The Kinkaid School, St. Thomas High School, and Depelchin-Elkins Campus. *Note: For a more detailed information on specific schools zoned to different Memorial areas, please refer to our Houston Schools Guide OR email me. Sandalwoods real estate have shown strong appreciation rates over the years. 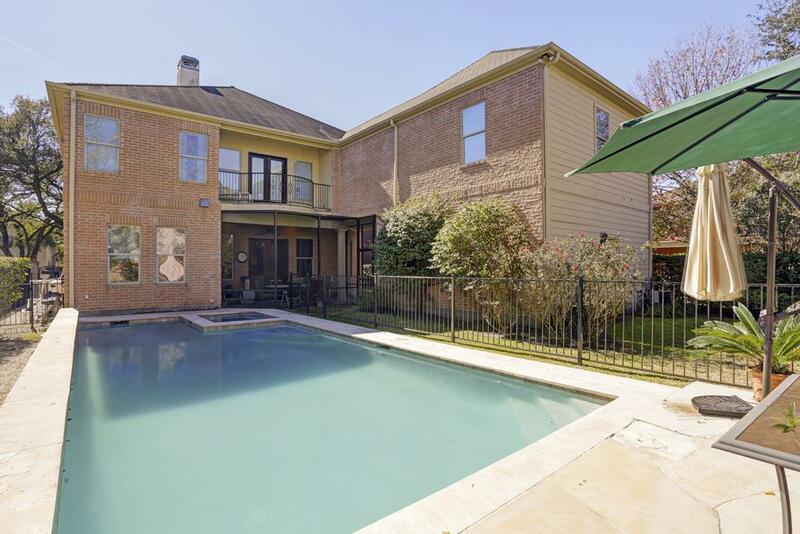 The neighborhood features some of the most expensive homes in Houston. Median sales price for single-family properties is nearly $3m in 2016. Like most Houston neighborhoods, new development is reshaping Sandalwoods. Older properties have been renovated or updated, though some have since been replaced with new construction homes. Despite its proximity to major roads and freeways, Sandalwood has managed to preserve its quiet lakeside charm through its strict enforcement of deed restrictions. Sandalwood real estate has continued to post strong appreciation rates despite slight fluctuations. Thanks to popularity and high demand of homes in the Memorial area, Sandalwood homes continue to sell well. 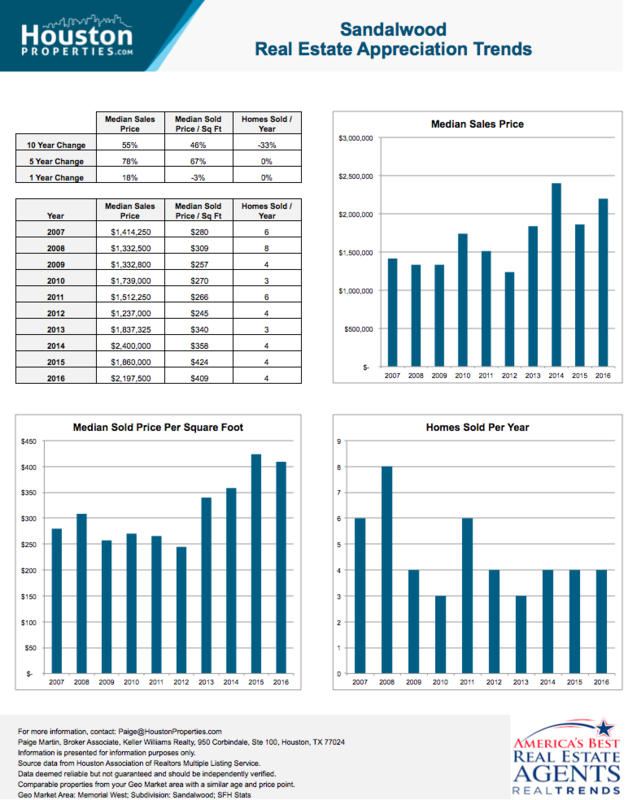 For updated information regarding Bellaire real estate pricing and trend analysis, please contact Paige Martin at Paige@HoustonProperties.com. Sandalwood was developed in the mid-1950s on what used to be a farmland. The developers of Sandalwood, Martin Nadelman and Howard Singer, were known for their resorts and hotels in Florida. Sandalwood originally had 2 lakes, with a third built during the development of the subdivision. The 3 lakes are named after the daughters of Howard Singer: Patti Lynn Lake, Robin Lake, and Lorrie Lake. In the late 1990s, most of the original homes in the area were renovated or updated creating a mix of vintage and new-construction luxury homes. The deed restrictions in Sandalwood have helped maintain the neighborhood’s look and feel. Homes are set back and the neighborhood has no cut-through streets. Thanks to its location in Memorial, residents have plenty of outdoor recreation, retail, dining, and entertainment options. Sandalwood homes are minutes away from the upscale shops of Memorial City Mall, Town & Country Village, and CityCentre Plaza. Memorial Park is less than 18 minutes east of Sandalwood. It is one of the most popular places to run in the city, and it also houses tennis courts, volleyball courts, skating rinks, a fitness center, swimming pool, bike trails, and playing fields. Memorial Park Golf Course, one of Houston’s Best Golf Courses, is also located within the park.